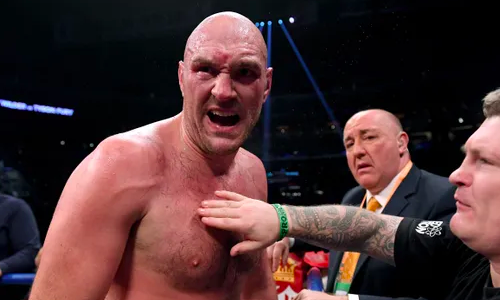 Tyson Fury has revealed what referee Jack Reiss told him after the ‘Gypsy King’ was knocked down by Deontay Wilder during their thrilling bout for the WBC heavyweight title in Los Angeles on Sunday. Fury turned up better fighter on the day, with his slick moves proving too hot to handle for Wilder, the holder of the belt. A knockdown in the 9th down too didn’t deter him as he appeared to be closing in on the contest. Then in the 12th round, a huge right-left combination from the ‘Bronze Bomber’ connected as Fury fell on to the canvas. And although he appeared to have lost consciousness for a bit, he opened his eyes and got back to his feet, somehow beating the count. “However I got back up, I really don’t know. I was sound. I was asleep on the floor. I was like that. I was like this on me back. Like that,” Fury was quoted as saying by The Sun. “He said ‘You alright?’ I said ‘Yes.’ He said ‘Go the left.’ I went to the left. He said ‘Go to the right.’ I went to the right. Props to the referee on not stopping the fight, which was adjudged a split draw.